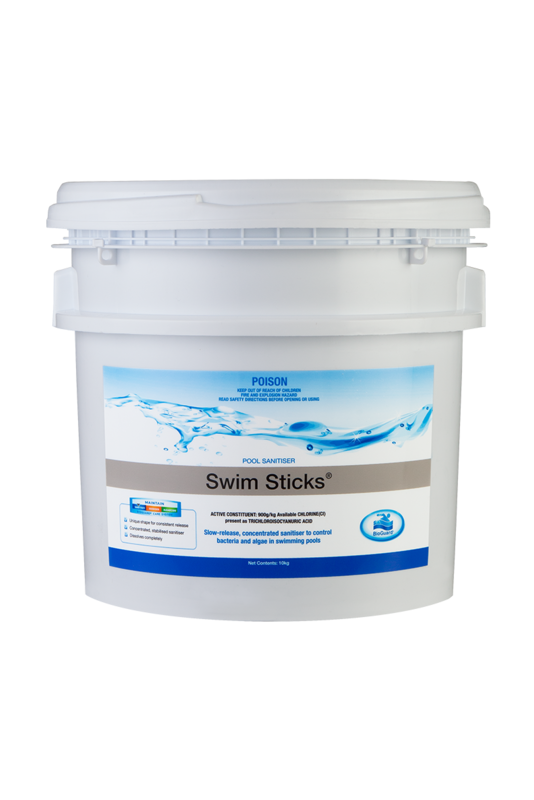 BioGuard Swim Sticks are a slow-dissolving compressed trichlor sanitiser that can be used in automatic feeders and some floaters for constant chlorination. Unique shape for consistent, convenient chlorination. Totally soluble – no messy binders.